This topic contains 6 replies, has 2 voices, and was last updated by Andrew Misplon 1 year, 7 months ago. Am having issues with a site I’m finalizing that runs Ultra and SiteOrigin. On Chrome the start page displays correctly with four logos listed as features and two separate rows below. But when viewed in Safari the logos and text bleed into the Call-To-Action rows underneath. What can cause this? I tried removing the fixed height. Didn’t solve the problem in Safari and now my front page in Chrome once again huge unappealing white spaces around the logos. I’m gonna keep the Fixed height off for the moment but unfortunately removing it did not solve my issue. Any other suggestions? Check the Container and Icon Size settings in the Features widget. Edit: You can adjust the Container or the Icon size to match your custom icon, I forget exactly which one, I’d need to test locally if you’re unable to find out which one is the setting to use. This will match the icon size to your custom icon. This reply was modified 1 year, 7 months ago by Andrew Misplon. 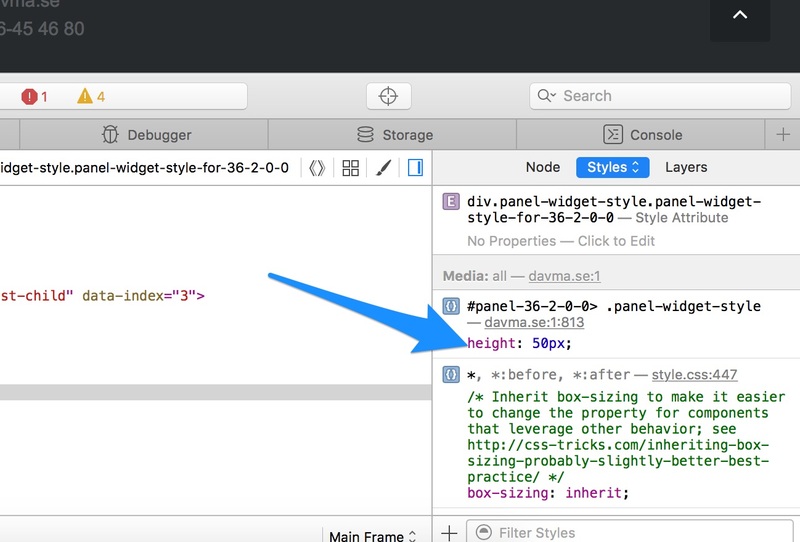 Within one of the widgets, there is a CSS style set to 50px. This is the issue in Safari, please, try locating and removing this. 50px height has been applied to a widget that applies to both the image and the text, it isn’t enough. Thank you! After a bit of searching I found the culprit, everything is now working as intended. Super 🙂 Glad to hear you’ve found the problem. All the best with your site.